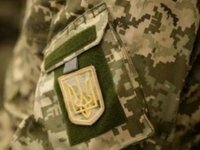 Russia-led forces have mounted 10 attacks on Ukrainian troops in Donbas in the past 24 hours, the press centre of the Joint Forces Operation (JFO) has reported. "The enemy fired on our defenders from anti-tank missile systems, grenade launchers of various systems, large-caliber machine guns and small arms ... There are no casualties among the personnel of the Joint Forces," the JFO staff said on Facebook. In the action zone of the operational-tactical grouping Vostok (East) and Sever (North), Russian occupation forces opened fire from 82mm mortars, anti-tank missile systems, grenade launchers of various types, heavy machine guns, and small arms to attack the Ukrainian positions near Vodiane, Nevelske, Shyrokyne, Avdiyivka, Zolote-4, Krymske, Novotoshkivske, and Novoluhanske. According to Ukrainian intelligence, on April 14, four militants were killed, another three were injured.